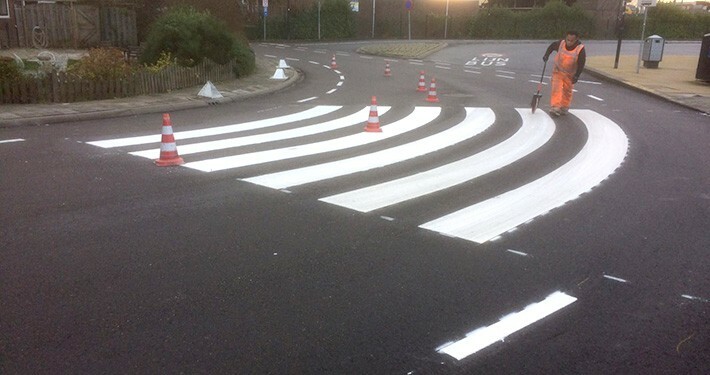 Safe crossing – Breukelen – Track Line B.V. Properly marked pedestrian road crossings continue to contribute to the safety of vulnerable road users. They can be found in many types and sizes. 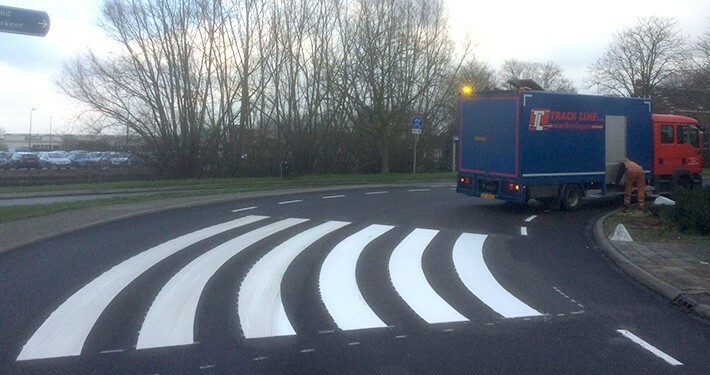 Contracted by D. van der Steen, Track Line B.V. created a crossing that is a bit special. For once the design does not go straight across, but follows the contours of the curve in the road.